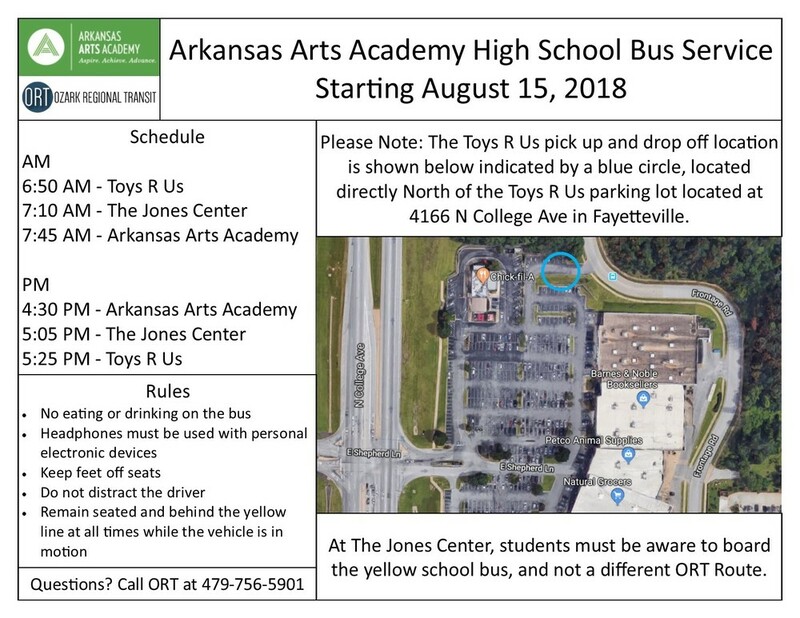 Arkansas Arts Academy is partnering with Ozark Regional Transit to provide a bus route from Springdale and Fayetteville to the 7-12 campus and back. Please see the flyer for additional details. The Bus Guidelines and Bus Form are posted on the high school webpage. Just click on 7-12 campus and explore documents. The bus will be filled on a first-come, first served basis. Forms can be submitted electronically to hwright@artsk12.org or in person at the 7-12 campus.